Welcome to this exceptional property on Ring’s Island. 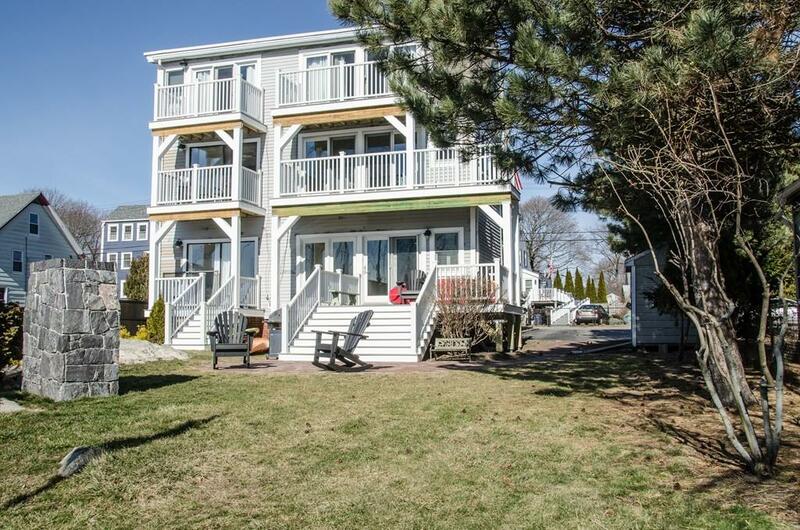 This property has gorgeous views of the Newburyport Harbor, Waterfront and Skyline. Two spacious master bedrooms with en suites and decks allow you to choose from a 1st or 2nd floor location, and you can pick the view you wake up to and go to sleep with. There is a 1st floor Office that can double as a guest room. The property has 3 private decks and fantastic open layout for entertaining both indoors and out. Wake up to a serene sunrise every morning and take advantage of boating by storing and docking your boat at Ring’s Island Marina Next door. Sit on the waterfront deck or by the outdoor fireplace and enjoy every season. This property allows you the proximity to Newburyport and the Rail Trail while taking advantage of the quaintness of Ring’s Island and the all the beautiful views. Truly the best of both worlds.